Julien Braud hails from the small village of Monnières in the Sèvre et Maine appellation. Today he owns just over seven hectares, with only around five hectares going into his production. He began his winemaking career at his family's estate, domain Fief aux Dames, where he worked through the 2011 vintage. In 2012, he ventured out on his own when he took over three hectares from his parents. His vision was to work in a way that highlighted the individual terroirs of the region and the heights to which Melon de Bourgogne could be taken. At the young age of 29 years old, Julien is one of only a handful of the next generation of winemakers in the region. 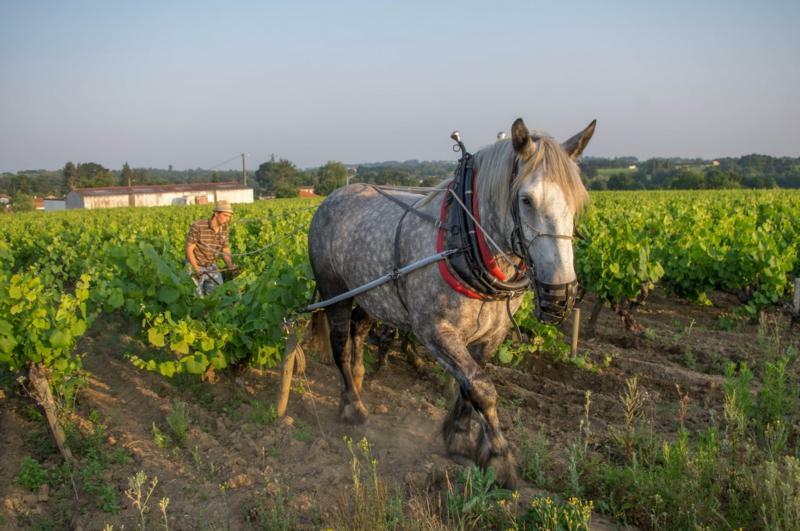 He is bucking the trend in the area, which in recent years has seen a decline in producers and Melon de Bourgogne vineyards given the challenges of making a living selling Muscadet. He remains undeterred! Julien works entirely organically and is recently fully certified. He also incorporates biodynamic approaches. He uses horses in his vineyards to minimize soil compaction, hand harvests, uses only natural yeasts for fermentation after a gentle press, and ages the wines on their lees in glass-lined, underground cement vats. A truly quality-minded approach that has resulted in wines of complexity, texture and balance. Julien Braud's talents have been highlighted most recently in a project created by NYC wine mogul Patrick Cappiello: Forty Ounce Wines. Current offerings include the 2016 Forty Ounce Rosé and the 2016 Forty Ounce Muscadet. Quantities are limited, so be sure to get them while you can! Winery Notes"Fresh and succulent. 35% Gamay, 33% Merlot, 10% Cabernet Franc, 12% Grolleau, 5% Pineau d’Aunis, 2% Pinot Gris."